Zara's Black Friday Sale is over but now we have their Cyber Weekend Sale! 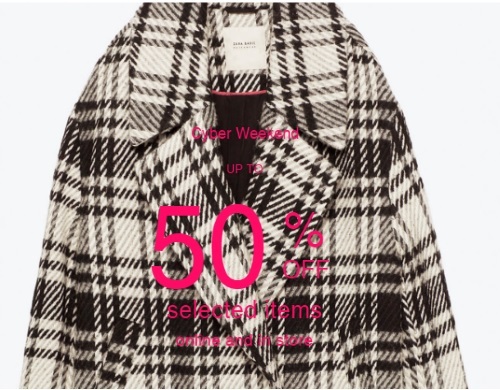 Save up to 50% off selected items! Offer is valid in-store and online. Prices are as marked on selected items.